No.1 Best Seller in Japan! 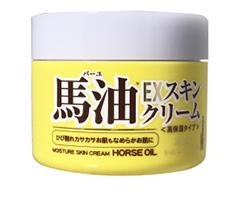 Skin cream for the whole body, made from natural horse oil. 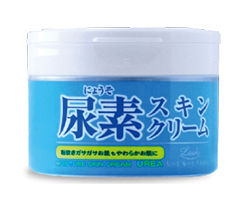 The cream quickly penetrates deep into cracked, damaged skin producing smooth, moist skin. 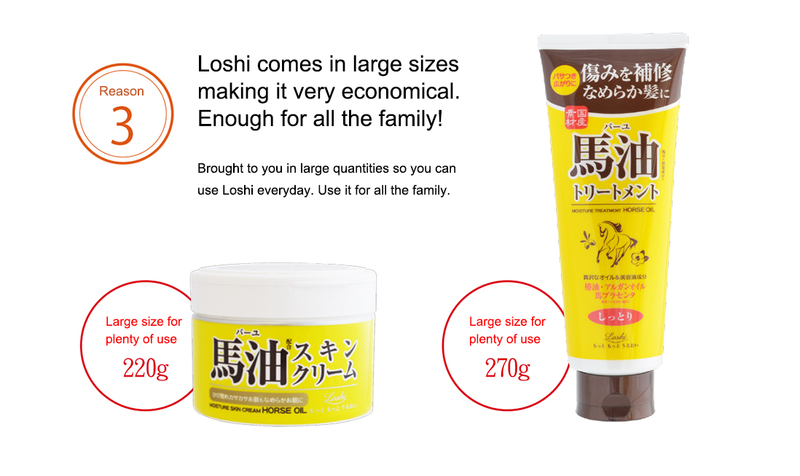 Skin cream for the whole body, made with urea to increase water retention and help bring moisture in the skin to dry parts. The hugely popular horse oil skin cream provides even more moisture retention due to the addition of highly sought after horse placenta! Gives your skin a sense of transparency, leading to a smoother feeling skin. The effects of a horse oil pack will soften up the texture of tired skin and reduce the appearance of open pores on the skin. The face mask can help both with moisturizing and pore care. The soft, strong lather of this cleansing foam gets deep into the pores to gently clean out dirt in the skin. 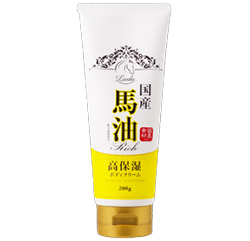 Made with natural horse oil with a high moisturizing capacity, leaves even dry skin feeling fresh after washing. 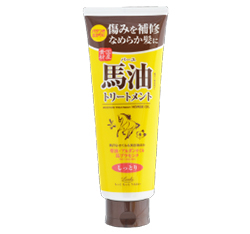 Oil hair cream blended with horse oil, camellia oil, and argan oil. Can be used both before and after hair drying. Brings dried, flayed hair ends together into a moist, glossy finish. 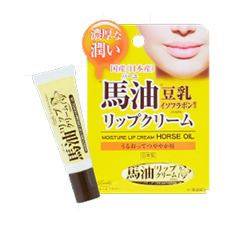 Lip cream blended with horse oil to give moist, glossy lips. Also contains soy milk isoflavone. The emollient ingredients give moisture to dry, peeling lips. 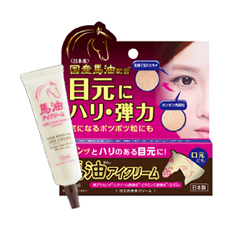 A horse oil aging care cream effective for wrinkles around the eyes, blended with antioxidant ingredients such as retinol and placenta. Leads to firmer, plumper skin around the eyes to combat visible signs of aging. Also effective against cutaneous and fatty spots. 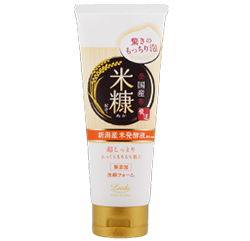 A body cream blended with horse oil made in Japan that can be used liberally all over the body. 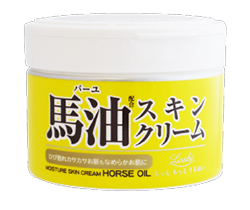 Ideal for use after getting out of the bath or before going out, by using plenty of horse oil in a pliable cream will give a greater moisturizing action and help relieve dry, itchy skin. 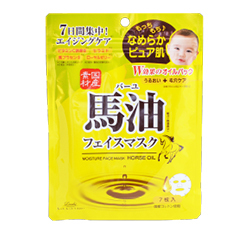 Natural skin care face wash blended with components made in Japan to give a wash with springy, full-bodied whipped foam. 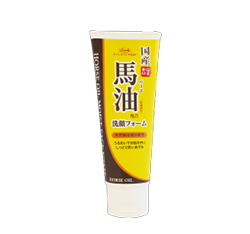 The moisture component of rice bran extract leads to a brighter and more moist feeling skin. 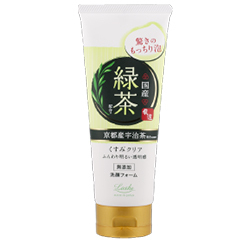 With a good wash the green tea extract leads to a closing of the pores for a glossy, more elastic feeling skin. 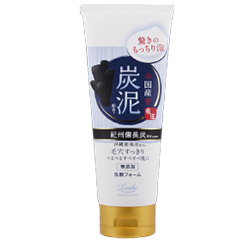 Gets into and cleans out the old outer layers of the skin including darkened pores and melanin with the adsorptive power of charcoal and mud. 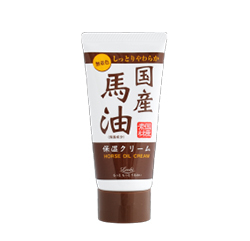 Hand cream blended with horse oil made in Japan. 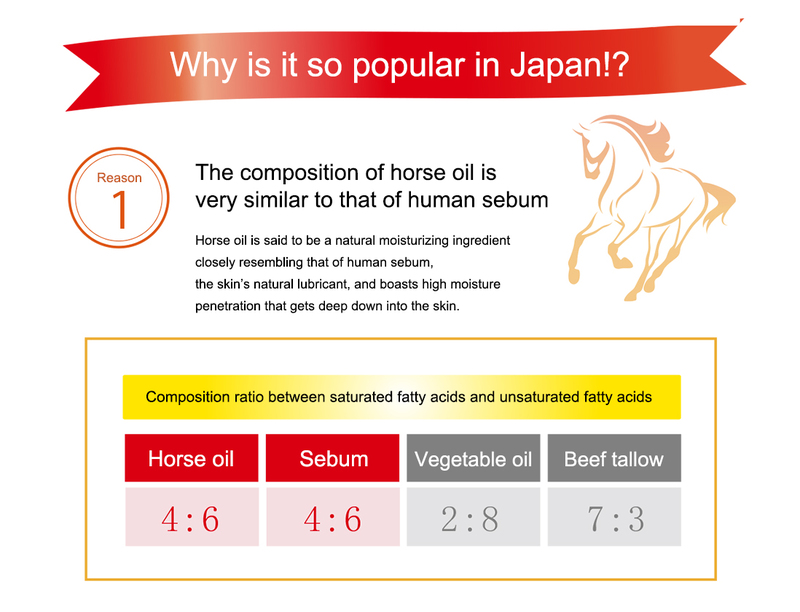 Horse oil which has been used as an all-round moisturizer since ancient times helps moisturize and protect dry hands by giving them an extra protective barrier.